‘Mad Men’s Final Season will Be Split Into Two Parts!!! Are you a Betty, Joan or a Peggy? How about a Don, Pete or a Roger? These names will have more in common with names like Rachel, Monica, Phoebe, Chandler, Joey and Ross. Once the final season of ‘Mad Men‘ is behind us, we will all have to grieve over our lost favorites just as we did when hits like ‘Friends‘, ‘Seinfeld‘ and ‘M*A*S*H‘ finished their successful runs. Luckily, we’re going to be let down easy. 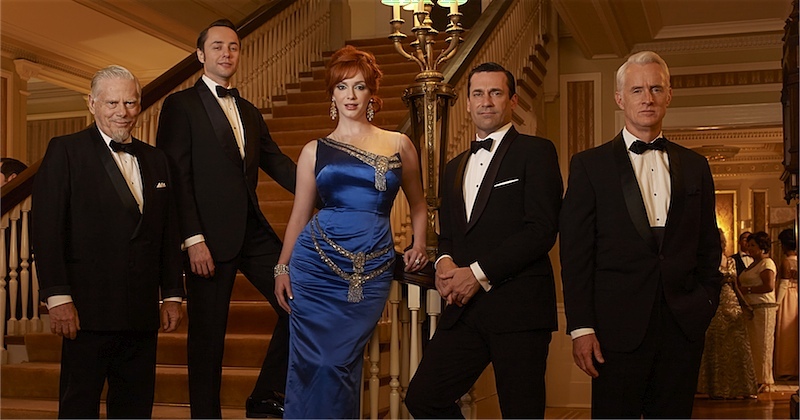 AMC announced today that the final season of the Lionsgate series ‘Mad Men‘ will be expanded to 14 episodes and equally portioned with seven episodes airing in spring of 2014 (“The Beginning”) and the final seven episodes of this iconic series (“The End of an Era”) airing in the spring of 2015. The first half of the final season of ‘Mad Men‘ will premiere on AMC this spring. You Must Watch This ‘Mad Men’ Blaxploitation Clip!! This entry was posted on Tuesday, September 17th, 2013 at 3:02 pm	and is filed under News, Television. You can follow any responses to this entry through the RSS 2.0 feed. You can skip to the end and leave a response. Pinging is currently not allowed. « Tom Hanks and CNN Will Travel To The 60’s!!! Has anyone ever watched you shave your legs? I got two kids and one bathroom, what do you think? I think you should lock the door.